Diana Hartel is the 2017 winner of the Siskiyou Prize in new environmental literature. This entry was posted in Uncategorized on April 11, 2018 by Diana Hartel. Here are some more nuclear bomb paintings in watercolor. This entry was posted in Uncategorized on November 14, 2015 by Diana Hartel. 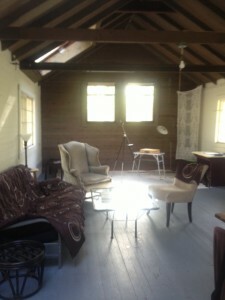 Byrdcliffe Art Colony has been around since 1902 and so is the cabin I am living in at the moment. The trees in the woods surrounding the cabin are leafing out, blue sky at the treetops this morning seen through the skylights on the north side of the front room where I write and paint. This residency is for May through September every year for five years and I hope to make the best of this time for writing my rivers book project with illustrations and paintings to accompany it. 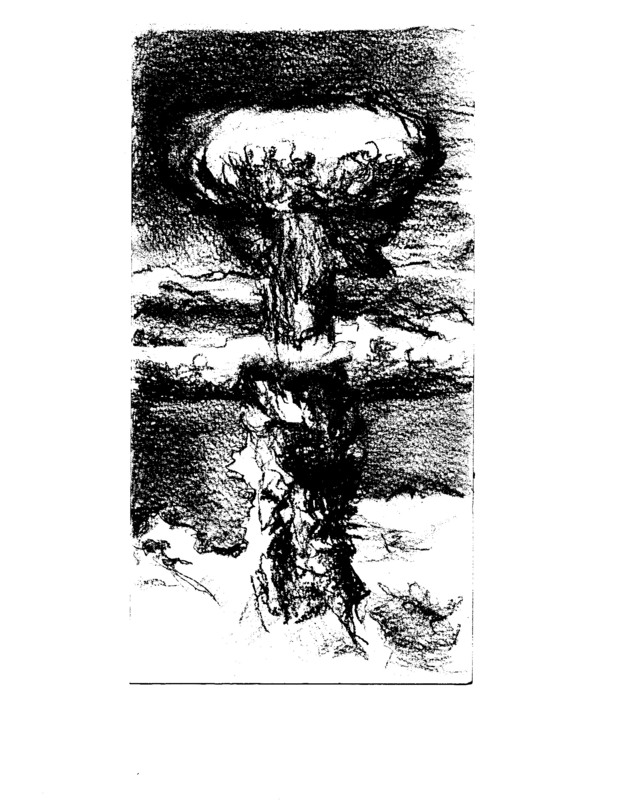 The drawing below is one of those I have been doing as illustration for an essay on nuclear weapons created in New Mexico’s Los Alamos in the Rio Grande watershed, delivered to Nagasaki, Japan in 1945 killing over 80,000 people in a blinding instant. 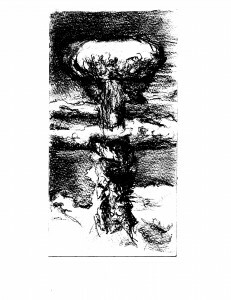 Drawing of bomb created at Los Alamos, dropped on Nagasaki in 1945. This entry was posted in Uncategorized on May 14, 2013 by Diana Hartel.